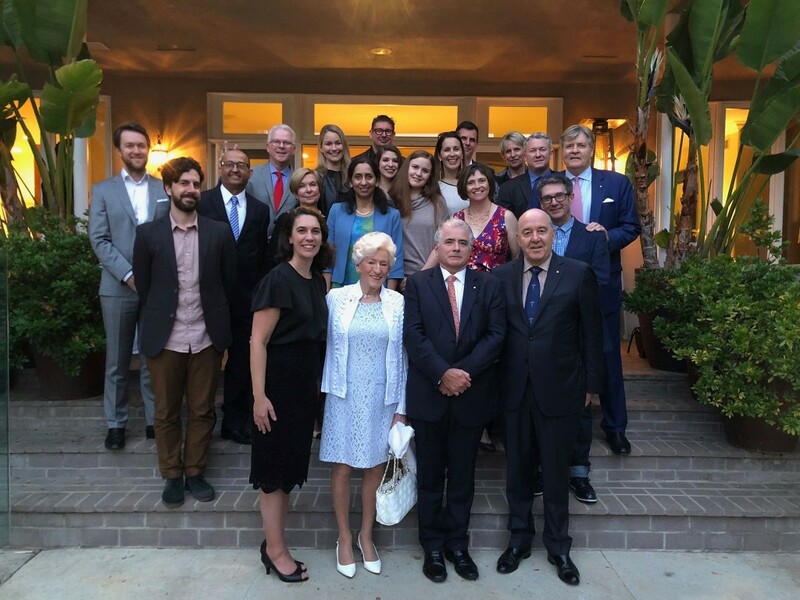 Welcome to the September edition of the Australian Consulate-General in Los Angeles’ newsletter! It's your way to stay connected with the Consulate and to support Australian efforts across the South-West United States. If you have friends or family that would like to be included on the mailing list, they can sign up at LOSA.PublicDiplomacy@dfat.gov.au. And of course, don't forget to follow us on Facebook and Twitter, and subscribe to our podcast, Australian Spotlight on iTunes or SoundCloud- sharing some of the many remarkable stories of Australian entrepreneurs, innovators and artists in the U.S., and the journeys they’ve taken to get here. ·On 16 June 2018 we hosted a reception for alumni of Griffith University with Griffith Vice-Chancellor, Ian O'Connor AC and the Friends of Griffith Board. 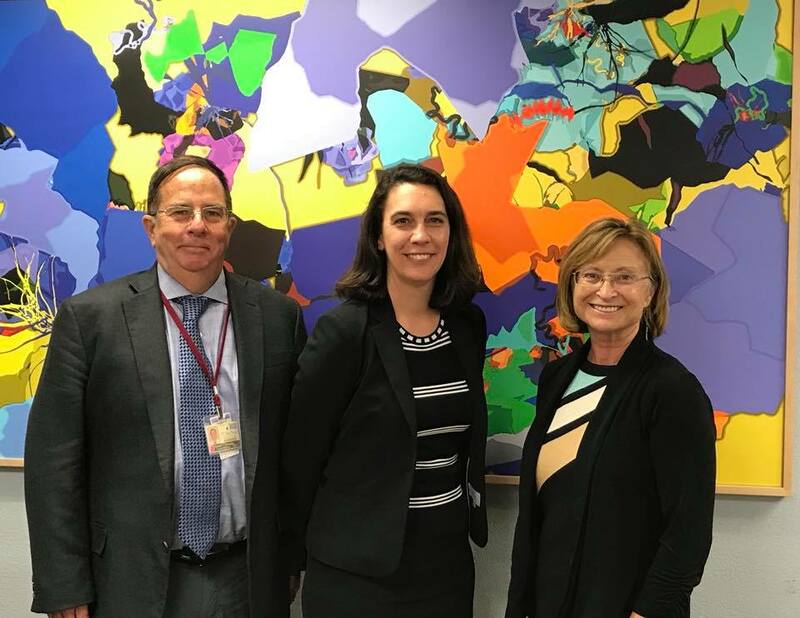 It was great to learn about the projects and partnerships Griffith has developed throughout the US and connect with the many Griffith alumni achieving great things here in Southern California! 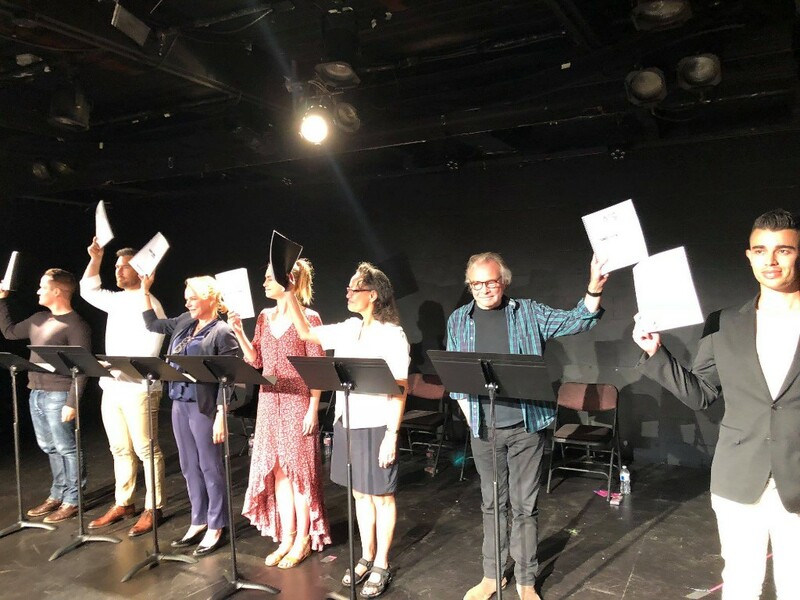 ·Our partners at the Australian Theatre Company ran another sell out 'Summer Reading Series' in June at the iconic Zephyr Theatre in West Hollywood. The 2018 Summer Reading Series showcased work by four Australian playwrights, Andrew Bovell, Nicki Bloom, Justin Fleming and Antony Bowman. You can find out more about the the series and how to become a member of the Australian Theatre Company here. 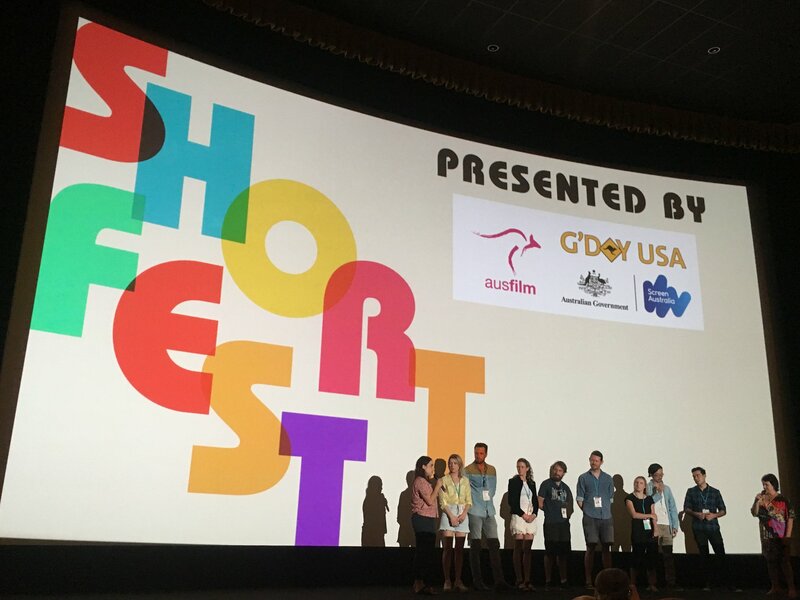 ·We partnered with Ausfilm, Screen Australia and Australians in Film for the G’Day USA Palm Springs International ShortFest, showcasing Australian talent at the largest short film festival in North America. 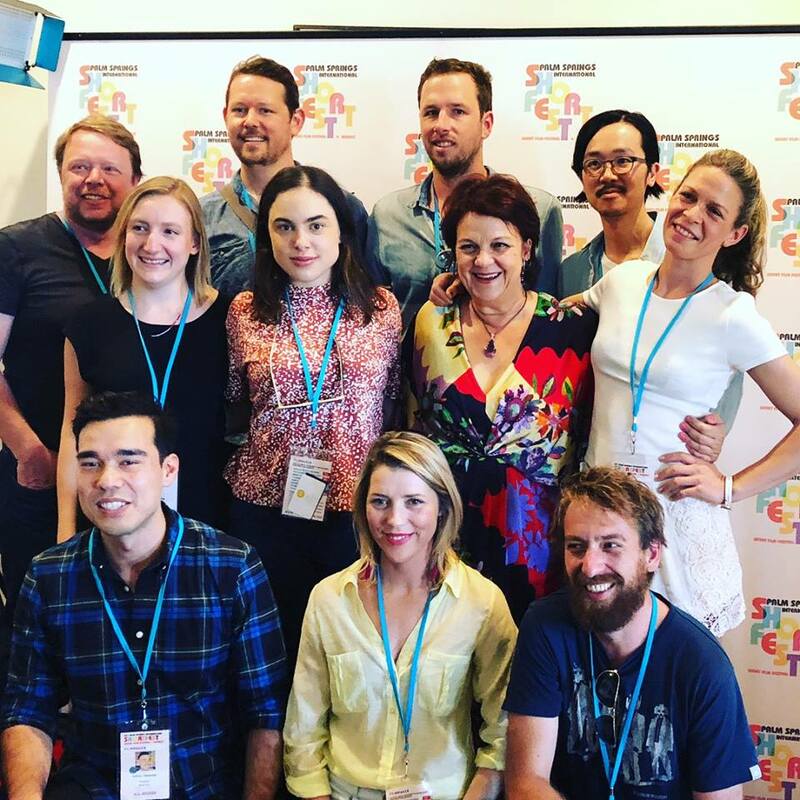 Crowds braved the desert heat to catch the record 19 Australian films featured at this year’s Festival, selected from over 5,000 submissions from around the world. 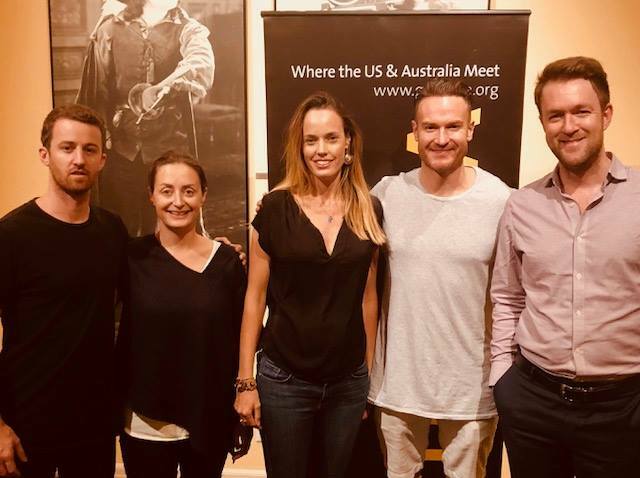 The Australian film-makers then reunited in Los Angeles for a day of mentoring hosted by Australians in Film with leading Hollywood talent including Oscar nominated actor/director Josh Lawson (The Eleven O'Clock), Editor Kate Hickey (Roller Dreams) and Producer Stephen Fitzgibbon (Curious Films). You can find more info on the Palm Springs International Short Film Festival here. 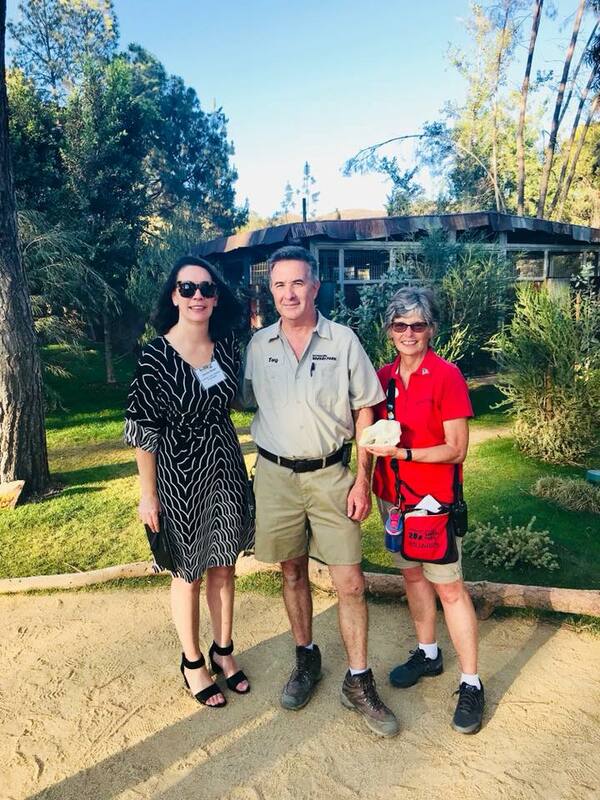 ·On June 13 we partnered with the San Diego Zoo to host a '100 Years of Mateship' Australian Global Alumni Networking Reception at the newly-opened Walkabout Australia Exhibit at the San Diego Zoo Safari Park. 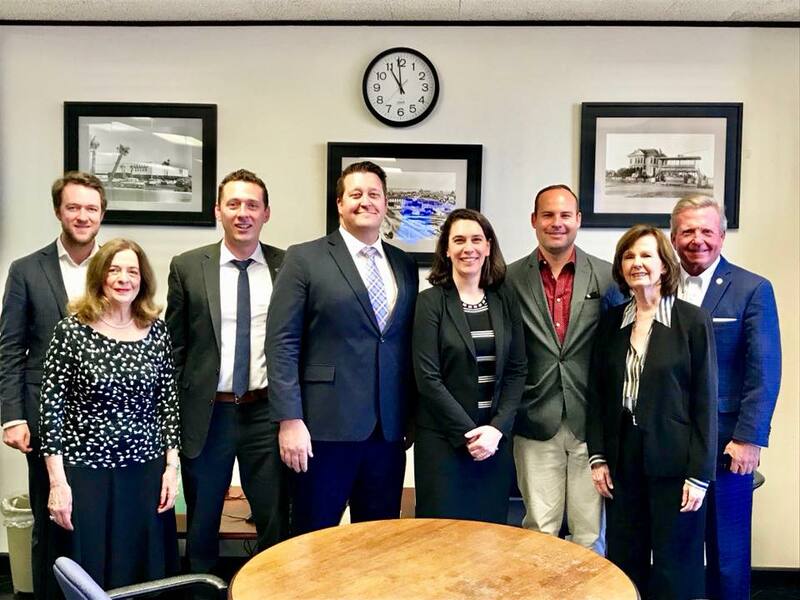 The event celebrated Australian and US alumni living in the San Diego region and was an opportunity to partner with the home of one of the largest exhibits of Australian animals in the US. 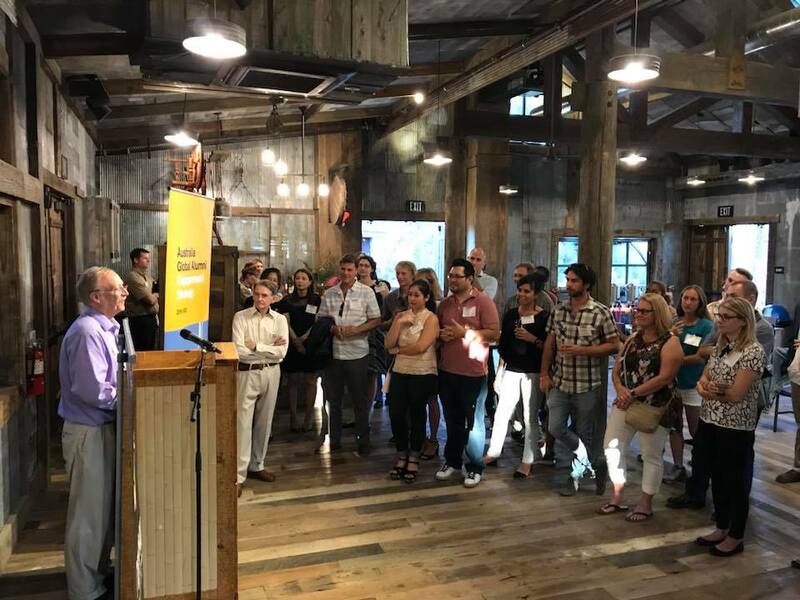 We had a great turnout with over 70 Australian alumni attending from the San Diego region, representing over 20 different universities. To find out more about alumni engagement in the US, join the Australian-American Alumni Association on LinkedIn here. 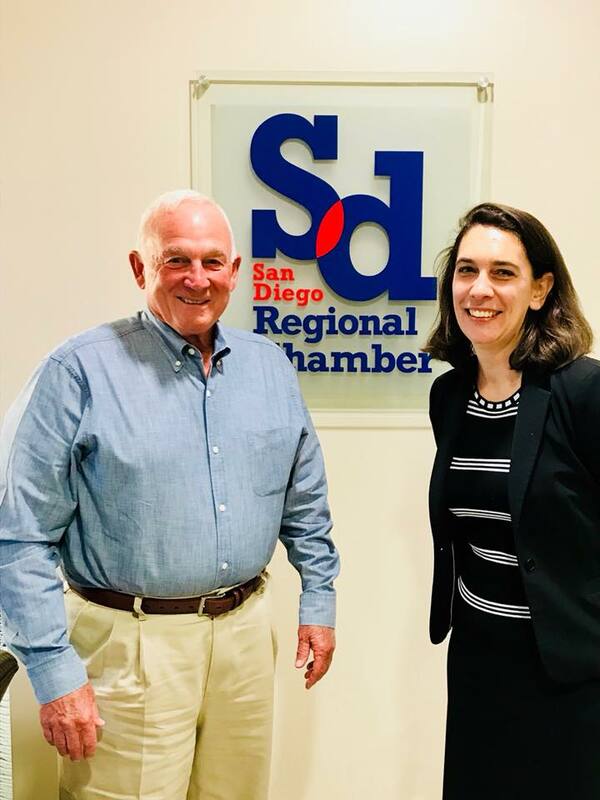 ·The Consulate-General also expanded its commercial diplomacy outreach in San Diego in June, meeting with the San Diego Regional Chamber of Commerce, UC San Diego, and Members of the City of San Diego’s International Affairs Board to explore opportunities for enhanced economic ties and further collaboration in education and research and development. 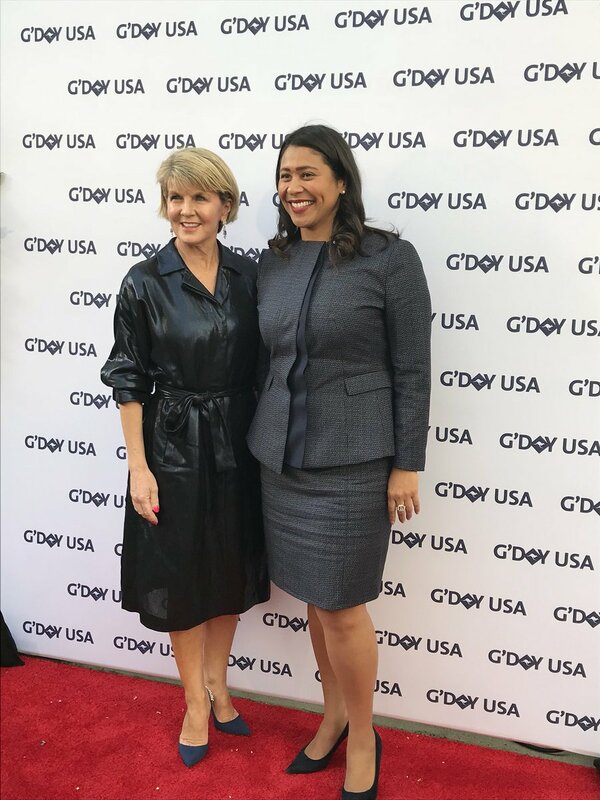 ·On 25 July G'Day USA held a reception in San Francisco hosted by former Australian Foreign Minister The Hon Julie Bishop MP to celebrate Australian talent in the Bay Area, with guests including the newly elected Mayor of San Francisco, London Breed, and representatives of key US and Australian companies in the Bay Area. 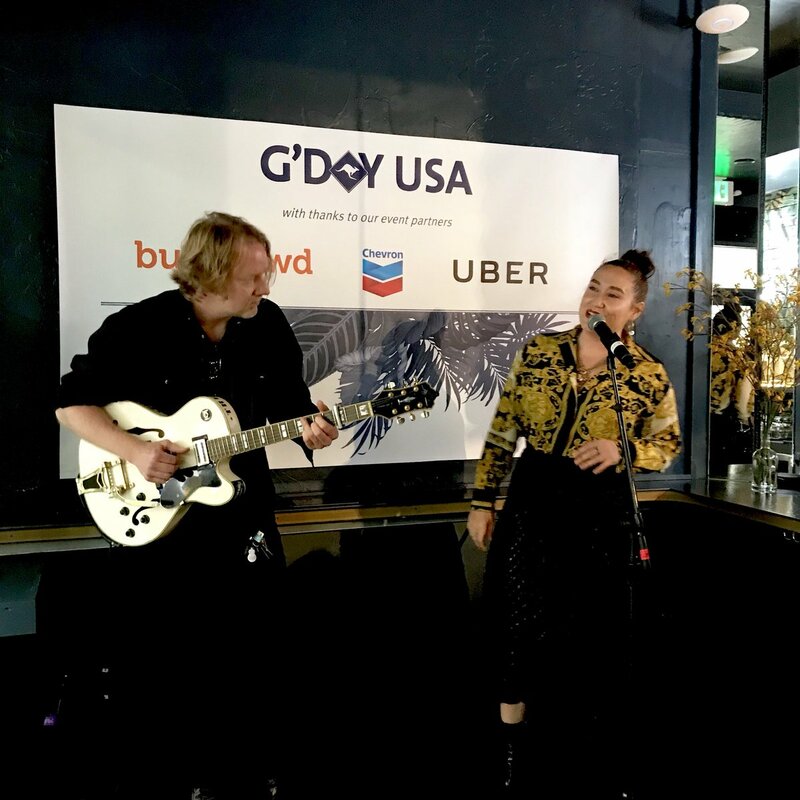 The event was held in partnership with BugCrowd, Chevron and Uber at one of San Francisco’s hippest bars, Australian-owned Hotel San Francisco. Ms Bishop’s remarks highlighted Australia's entrepreneurial flair and the natural synergies between Australia and California. Guests were also treated to a performance by Australian music sensation Nat Dunn who wrote the smash hit 'FRIENDS'! 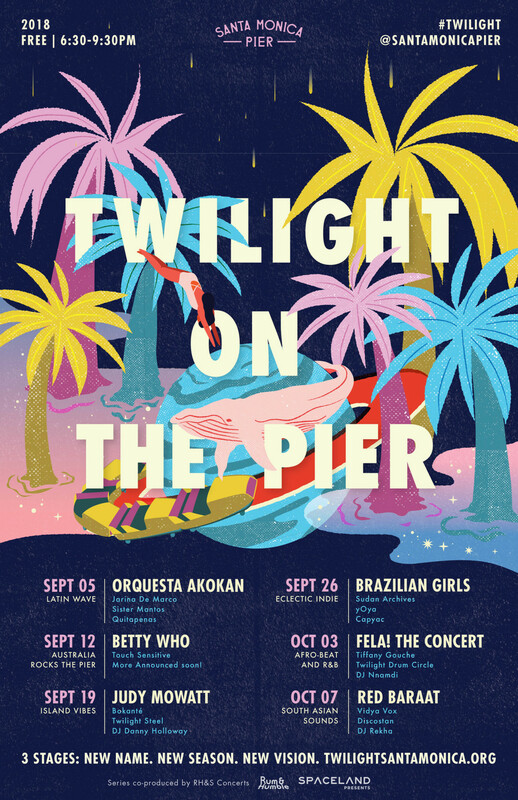 ·G’Day USA’s Australia Rocks the Pier will take over Santa Monica's iconic pier again in 2018 as part of the annual Twilight Concert Series. Some of Australia’s leading and emerging talent will perform at arguably one of the largest and most successful free festival-style concert series in Southern California. Join 20,000 other fans at the beach on Thursday 12 September to cheer on Betty Who, Touch Sensitive, CXLOE and Death Bells! See you at the Pier! More info here. ·Our friends at the Australian Theatre Company and Skylight Theatre Company present ‘Swansong’ starring Andre De Vanny and directed by Melbourne Fringe Co-Founder, Greg Carroll, from 8 September - 7 October. Pulled from the streets of 1960’s Ireland, this gritty monodrama tells the story of Austin “Occi” Byrne, abused and isolated, violent and vulnerable, and searching for redemption. To celebrate the opening of this award-winning, critically acclaimed Australian production, we have 6 pairs of tickets to giveaway to attend the exclusive ‘Australian Community’ evening on 10 September! The first 6 people to email losa.publicdiplomacy@dfat.gov.au will be successful. 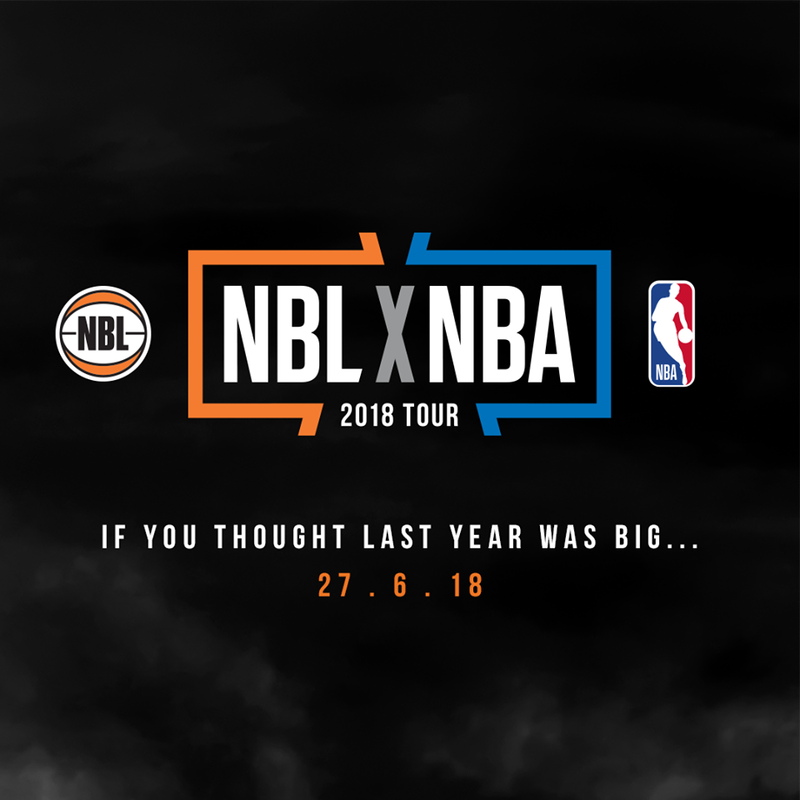 Tickets are also available here. ·Are you an alumnus of an Australian university living in Colorado or Utah? If so, let us know! We will be hosting Australian Global Alumni events in Denver and Salt Lake City during October. Register your interest by emailing LOSA.PublicDiplomacy@dfat.gov.au. The Australian Consulate-General will be conducting Australian passport interviews in Salt Lake City UT and Denver CO in October 2018. Please call our passports line (+1 310 229 2300, option 2) to register your interest. More details will follow. The 2019 we will commemorate ANZAC Day in Los Angeles with a dawn service on Thursday 25 April followed by a gunfire breakfast. Please register your interest by emailing LOSA.PublicDiplomacy@dfat.gov.au. Copyright © *| 2018|* | Australian Consulate-General, Los Angeles |* All rights reserved.